The Word Bands Collection will make it easier than ever to find the perfect thing to say every time. 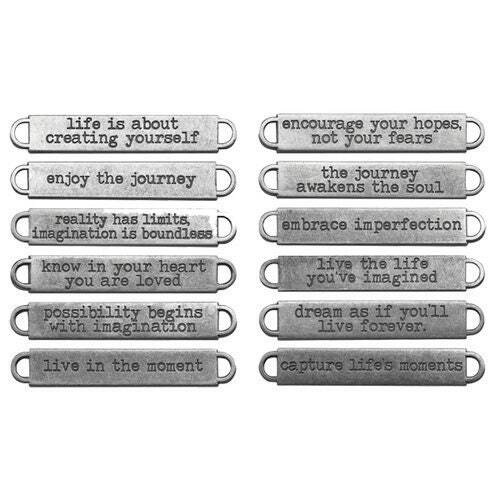 These word bands can be easily attached with fasteners or ribbons to your next project. Each package includes 12 antique nickel-finished metal bands.